Grand Daisy Press, 9780996284301, 254pp. Will all her wishes come true? 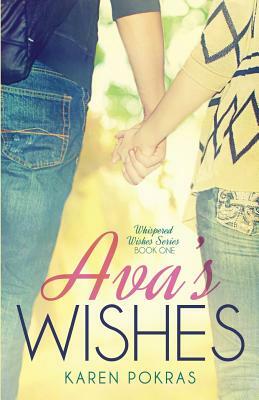 Ava Haines has big plans for her life. Her short-term goals include passing statistics (on the third try), graduating college on time, and securing a job in the art gallery on Main Street. Her long-term goal is to one day own an art gallery of her very own. Oh sure, she would some day like to fall in love and get married, but all of that is secondary to making sure her other goals are in line. Fellow student Max Wallis and esteemed photographer Thomas Malloy are just minor distractions she is more than capable of handling. She's entitled to a little fun once in a while, right? However, as reality takes a tumble, Ava begins to wonder if she really can manage it all. Warning: This book has brief references to an attempted sexual assault. Although there are no explicit details, readers sensitive to being triggered by such references should exercise caution.